Aqua/Water/Eau, Butylene Glycol, Glycerin, Cetearyl Alcohol, Hydrogenated Vegetable Oil, Isononyl Isononanoate, Butyrospermum Parkii (Shea) Butter Extract, Cetyl Alcohol, Vitis Vinifera (Grape) Seed Oil, Caprylic/Capric Triglyceride, Glycolic Acid, Squalane, Panthenol, Tocopheryl Acetate, Hydroxyethyl Acrylate/Sodium Acryloyldimethyl Taurate Copolymer, Bisabolol, Parfum (Fragrance), Benzyl Alcohol, Sodium Hydroxide, Palmitoyl Grapevine Shoot Extract, Caprylyl Glycol, Xanthan Gum, Cassia Angustifolia Seed Polysaccharide, Arginine, Carbomer, Dehydroacetic Acid, Sodium Phytate, Sodium Hyaluronate, Papain, Acrylates/C10-30 Alkyl Acrylate Crosspolymer, Tocopherol, 1,2-Hexanediol, Algin, Limonene, Linalool, Geraniol. 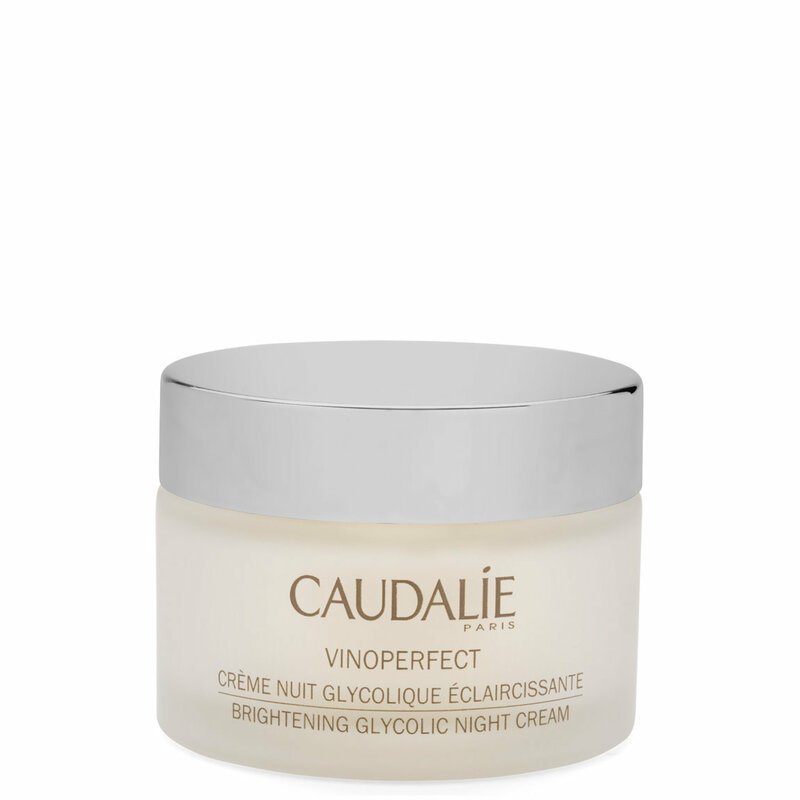 (090/066) Origine VéGéTale - Plant Origin"
A dark spot diminishing night cream powered by smoothing glycolic acid and brightening vine sap viniferine. This brightening cream acts as a gentle overnight peel to reveal fresh and luminous looking skin upon awakening. Night after night, the appearance of dark spots is reduced, skin texture is visibly smoothed and skin tone appears even. This trio of gently exfoliating and brightening stars (papaya extract, glycolic acid, vine sap viniferine) diminish the appearance of dark spots and acne scars, overnight. Safe for even the most sensitive skin, the formula is powered by time-released glycolic acid, for continuous 8-hour penetration. Apply a thin layer to face and neck before going to bed and wake up to perfectly rested hydrated and radiant skin. No need to rinse. Avoid eye contour area.